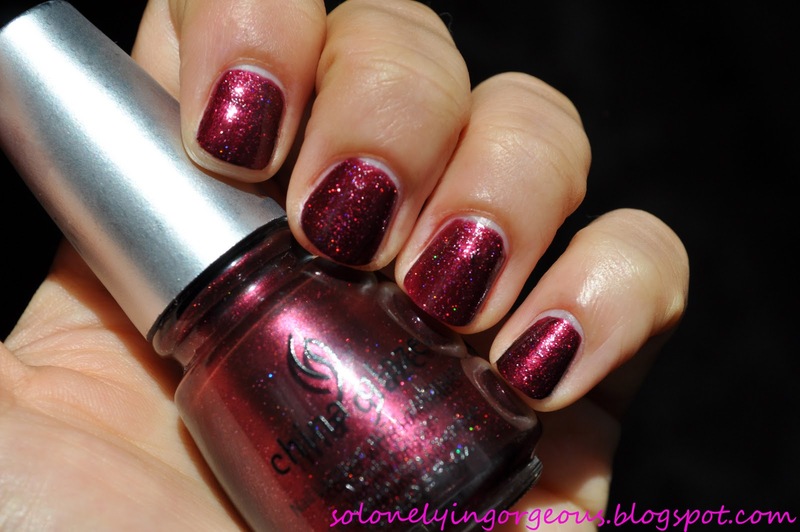 It's Monday mani : D and today we have 'Sugar Plums', another lacquer from China Glaze's 'Tis The Season To Be Naughty or Nice 2010 Collection. 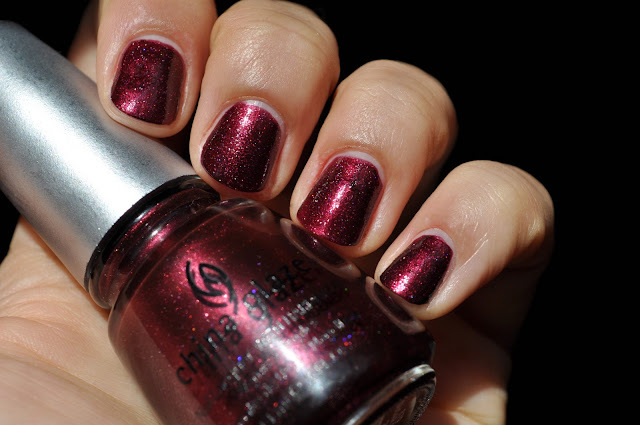 Sugar Plums is a deep burgundy wine shade with micro multicolored glitter. This nail polish only needs two coats to achieve opacity. Sugar plums is the kind of nail lacquer that needs to be seen in person (and in direct sunlight) in order to admire it for all its sparkly loveliness. In this photo, you can see the gritty bumpy finish. One thing I was put off by was the texture of Sugar Plums once it dried; a semi-matte, bumpy(looks as if you have air bubbles in your polish) and gritty finish. 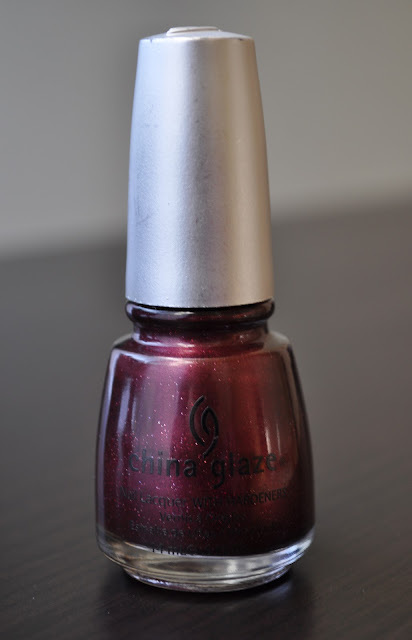 An industrial strength shiny top coat is mandatory with this one! 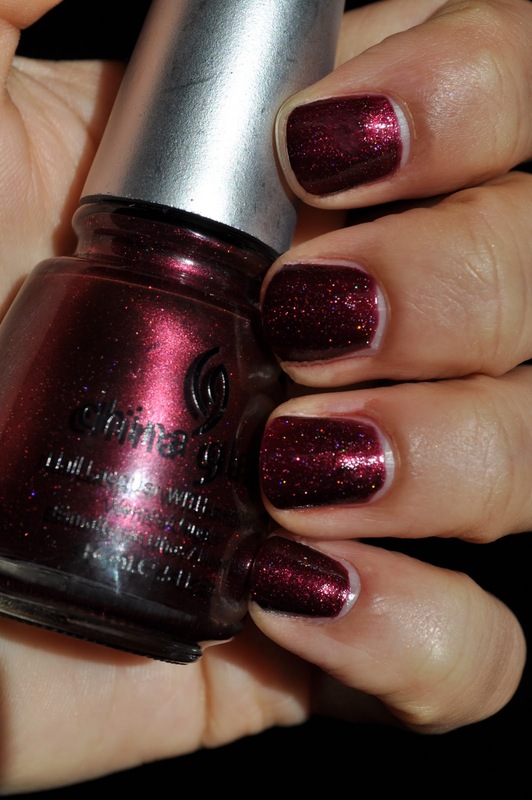 So what are some of your favorite burgundy wine polishes? oooo if I wasn't already in holiday mode this nail polish would do it in a jiffy! I will take advantage of that coupon code! hehe, there are a few nail supply stores in my area that sell directly to salons so I get my nail polishes there, they have a lot of opi and essie polishes and they sell for $4-5 a bottle but only one of them carries china glaze and its a very limited selection. Everything is soooooo overpriced here. Opi cost over $20 Dollars here...so I just order everything from the states. The next time I'm in New York we'll definitely do some major shopping!!! Have A Holly Jolly, Jolly Holly...Manicure? "This Bear is Just Right!"